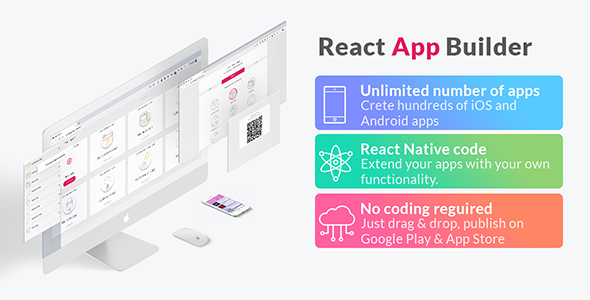 React App builder is DIY – Do it yourself mobile app builder where you can make an unlimited number of ios and android apps. Make your app by choosing one of the available templates. Then add, edit, reorder the app sections. We provide more than 30 sections.